I LOVE this review of SIERRA by Laura of FUONLYKNEW. Stop by her blog and enter the giveaway! I have always considered my books to be ROMANCE. I LOVE that she places them in other categories. I like the idea of having other elements in my stories. I feel it adds to the intensity of the romance. Laura entitles the post, She Chose Life . . . another thing I love. I have read all of her books, and they all stayed with me, lingered. The same can be said about Sierra. Taylor classifies her books as love stories. There is romance in all of her books, but I classified some of them as horror and thrillers. Sierra starts out with your typical happy family on vacation. Then it turns dark in a hurry. Two maniacs abduct Alyssa and Sam and their son Clay, forcing her to drive them deep into the woods. Pa and Adam had found their Eve. They had no use for the man and the boy. Sam and Clay are gunned down right before her eyes and Alyssa succumbs to the shock. When she comes to, her reality is horrifying. Her escape attempt is thwarted by her kidnappers, but now they’re lost. But wait, they stumble upon a cabin. Alyssa dares to hope. Could her savior be inside? Maybe she can survive this, but does she want to? I can’t imagine anything more soul-destroying then to see your loved ones murdered. No matter how much she grieves for her husband and son, Alyssa’s will to survive drives her on. There is a miracle in the cabin. The miracle is Alex. He’s damaged goods, but then, so is she. Two people, trapped in a cabin for the winter, turn to each other. You’ll be proud of Alyssa. Her heart has been shattered, she doesn’t want to live, but she can’t quit. So she fights. with everything she can dredge up, she fights to live. And life is waiting. Alex is waiting. He just doesn’t know it yet. So, Sierra is a thriller, wrapped around a love story. Of all of Taylor Dean’s books, this one moved me the most. I cried, wiped the tears so I could see to keep on reading, and cried some more. I smiled, then grinned, then laughed, and finally clapped. Taylor gives you stong, genuine characters, a horrifying scenario that could happen, and the healing power of the human spirit. I guarantee, after you read Sierra, you’ll have to read Taylor’s other books! Taylor, I’m waiting for more!! 1. Sierra is my first novel. 3. Sierra was inspired by the true-story-TV-movie of the ordeal endured by Olympic Medalist Kari Swenson, entitled, Abduction. (1987) This movie inspired a 'what if' story in me. What if the kidnapping had been successful? What if she was taken deep into the woods? What if she was rescued there? What if she had to stay with her rescuer through the winter? 4. The first ten pages of Sierra were handwritten back in 1991 (pictured below) on a day when I just couldn’t stand it anymore, I had to write my story. If I didn't commit it to paper right then, I was going to die! Frankly, the hastily written pages are really, really awful. But, the gist of the story is there and it's eerily similar to the published version that stands today. Back then, for some unknown reason, I thought Nightmare into Paradise was a good title. (I blame it on the nineties.) I've come a long way. I didn’t officially write Sierra until 2006. 5. My sister—one of the first people to ever read Sierra—stayed up ALL night to read it and still says it’s the best book she’s ever read. If you only read one of her books, it should be this one. Dean captures the real terror and thoughts of a woman in a dangerous situation; the real fears we have in love; the realistic responses of survivors of terrifying scenarios. 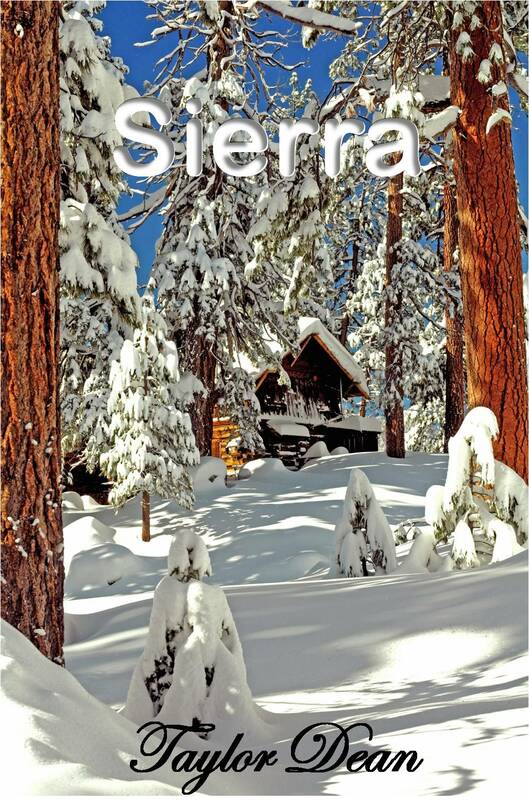 If you like to see the man you love chopping wood with his shirt off, save you from any situation you encounter, and then go inside and make you dinner, Sierra is the book for you! 6. 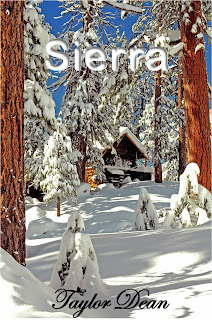 Of all of my novels, Sierra is my personal favorite. 8. In my original story of Sierra, Alyssa takes Alex to court to have their marriage declared legal. Ugh. It was one of the first plot lines to get DELETED. Thank goodness. But I sure had fun writing it. 10. The original (awful) title of Sierra was Sanguinity. Below is how my family and friends read my early manuscripts--somehow they still liked them! When people enjoy your early unedited and unformatted stories--you know you're on to something. Zachary Drake had love in his life--and tragically lost it. He knows it won't come his way again. 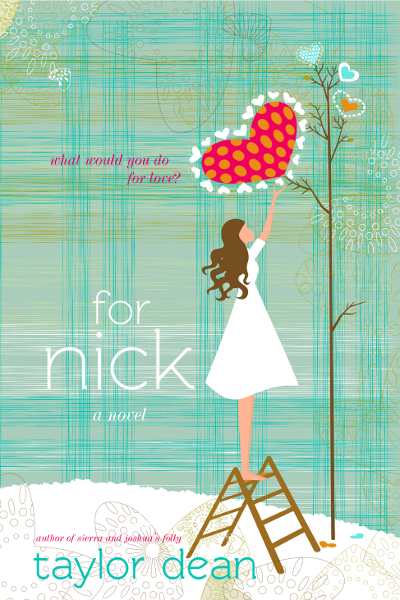 Andie Parker would do anything for the love of her life. Even marry a total stranger. In spite of the unorthodox manner in which Zach and Andie come together, there is no denying that things are unexpectedly good between them, taking them both by surprise. However, when secrets come between them--and trust does not--Andie soon finds herself vowing to never make the same mistake again. But, she'd do it again in a heartbeat and she knows it. She'd marry a hundred strangers if it helped Nick. She'd do anything for Nick . . . anything. After Marisa survives a traumatic experience in her youth, she finds comfort in the form of a photograph of Joshua, her foster mother’s nephew. She falls in love with him, creating and refining an image of the man of her dreams. When Marisa has the opportunity to visit Joshua’s cattle ranch outside of Amarillo, Texas, she meets Joshua in person for the first time. She quickly realizes he is someone she could really fall in love with, not just a silly childhood crush. 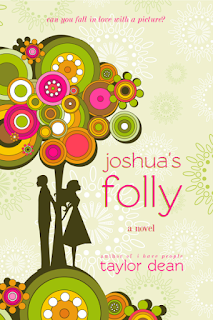 Life is seemingly perfect for Josh and Marisa, with endless possibilities before them. That is, until Josh’s reservations take a toll on their relationship and their summertime romance ends rather unexpectedly. Will Marisa be able to forgive Josh for his folly? I'm glad Laura enjoyed the book! Thrilled, in fact! You two are a couple of pretty wonderful sisters. Makes me miss my sisters, we all live far away from each other. Glad you enjoyed the 'facts' about Sierra. I'd never shown the picture of the handwritten pages before, or the one of my old manuscript. I thought readers might find them interesting. One thing it brought home to me: it's been a long road to publication, but worth all the effort! Thanks for your comment, Sherry!